Hello Fall. Here we are, another season that brings about lovely weather, colorful foliage and warm comfort food. In all it’s marvel, summer can wear us out. It’s nice to transition to a place of coziness. For me, fall means endless cooking and working with seasonal vegetables and ingredients to create aromatic and super delicioso meals and treats. Of all those fall harvest fruits and vegetables, pumpkin somehow jumps out at me as my fave. I want to make a myriad of things with this squash veggie. Have you had pumpkin soup with a hint of ginger and brandy? You’d definitely be in for a delightful surprise. While savory meals keep the heart warm and the stomach satisfied, there is nothing like finishing up your evening with a luscious dessert. 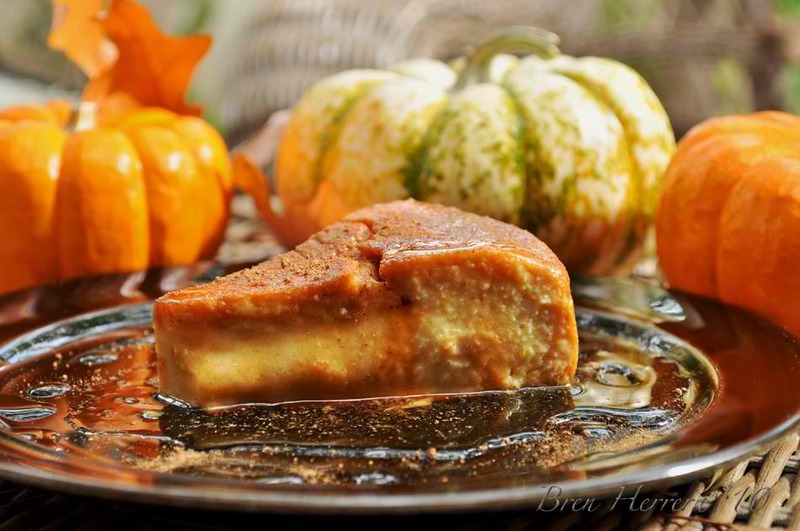 When it comes to pumpkin, the only dessert that screams and begs to be made with the orange blossom is the famous Latin flan!